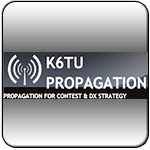 Here are several tools for DX’ers to estimate the propagation during our operation. You’ll be also able to check best time for each band by using the propagaton button on the clublog page. 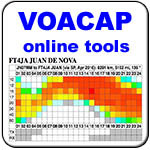 Those informations will be based on achieved QSO and will be also a good informations source. We’d like to thanks K6TU & VOACAP for spending time to generate these predictions.